When student leaders from 23 California State University campuses came together last fall to set priorities for the academic year, improving campus mental health services received more nominations than any other issue. It beat out even that perennial concern, tuition costs. Cal State Student Association president Maggie White said she’s not surprised. “We’re seeing wait times at counseling centers that are exceeding two or three weeks, people turned away after a few appointments because they’ve exceeded the maximum allotment, and students not feeling comfortable going to counselors because no one looks like them or reflects their experience,” White said. As the stigma attached to mental health care fades, California students are increasingly clamoring for more on-campus services that can help them cope with anxiety, depression and the stresses of a contentious political climate and rising living expenses. Several bills pending in the California Legislature would set aside resources for mental health care at the state’s public colleges and universities. Mental health advocates say on-campus care is especially important because people often first experience psychological problems during their young adult years. “It’s so much the age when serious mental illness manifests itself, and here we have these institutions that could absolutely be identifying this early on,” said Deborah Anderluh, a spokesperson for the Steinberg Institute, which lobbies for more funding for mental health treatment. 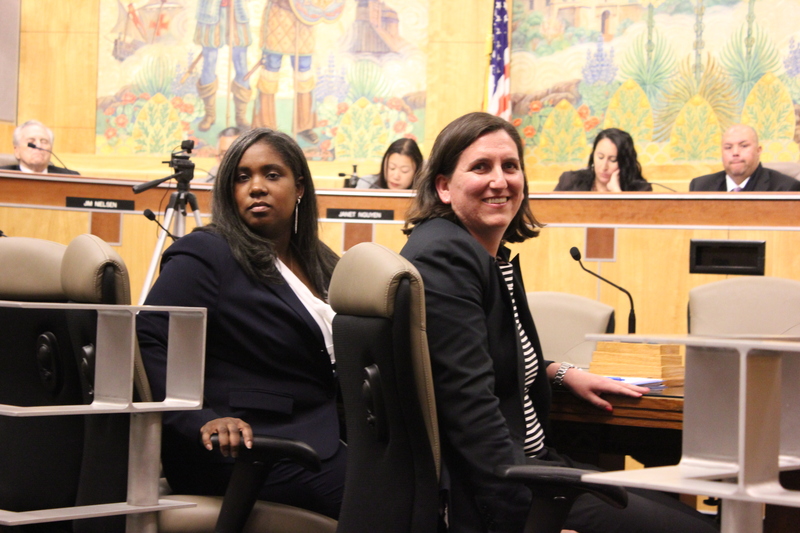 Landmark legislation that would make California the first state in the nation to establish voluntary mental health standards for the workplace was approved on the Senate floor Thursday by unanimous vote and moves to the Assembly with strong bipartisan backing. SB 1113, authored by Senator Bill Monning, D-Carmel, marks a bold effort to combat the stigma that still shrouds mental health in our nation and ensure mental illness is addressed with the same respect and urgency as physical illness in the workplace. For years, employers have seen the wisdom of providing their employees with gym memberships, exercise space and nutritional snacks, having been schooled in the clear cost benefits of supporting physical well-being. SB 1113 would bring that same level of attention to supporting employee mental health. In any given year, one in four Californians endures a mental health crisis, and yet mental health remains an uncomfortable and often unaddressed issue in many workplace settings. Research tells us that lack of attention comes at great cost for both employers and employees: Mental health issues are the single most expensive category of health costs for many employers, across all industries and sizes. The loss of employee productivity due to depression alone is estimated to cost U.S. companies as much as $44 billion per year. 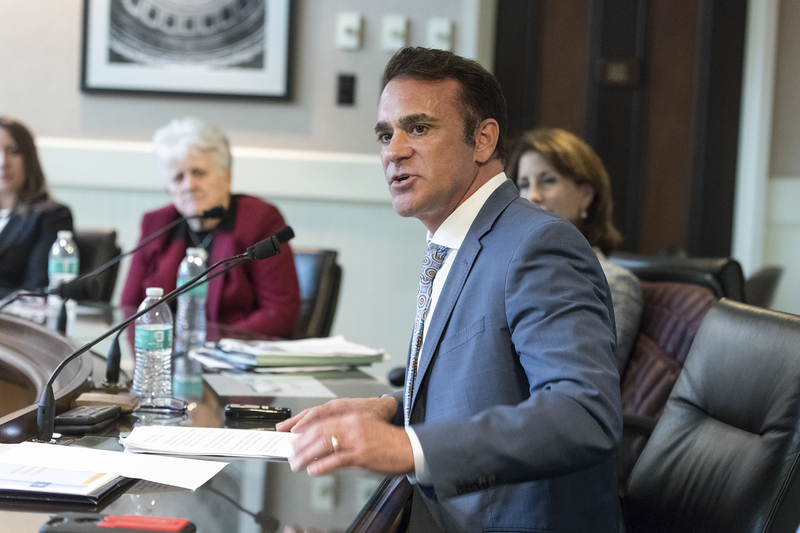 Our public policy team is pressing forward with a package of sponsored bills that so far has garnered strong support from legislators on both sides of the aisle. It’s a bold agenda that advances some key themes: scaling up best practices for prevention and early intervention in mental illness; marshaling far more resources to combat the state’s crisis of homelessness; continuing the push toward a system of care in which mental health is treated with the same sweep and urgency as physical health; and growing our mental health workforce. Read on for a snapshot of our priorities for the 2018 session. Our 2019 Legislative Package is out!